Jerry currently works as an Information Technology professional in the D/FW area of Texas. Astronomy has been a major passion of his for many years since he was in the 8th grade. He is also a precision rifle shooter and loves to tinker with his hot rod truck! By the time he was 15, he was attending the Texas Star Party in Fort Davis, Texas and viewing supernova 1993j in M81. Education and career opportunities took hold and Jerry opened the shutter on his first DSLR astro image in April of 2013. 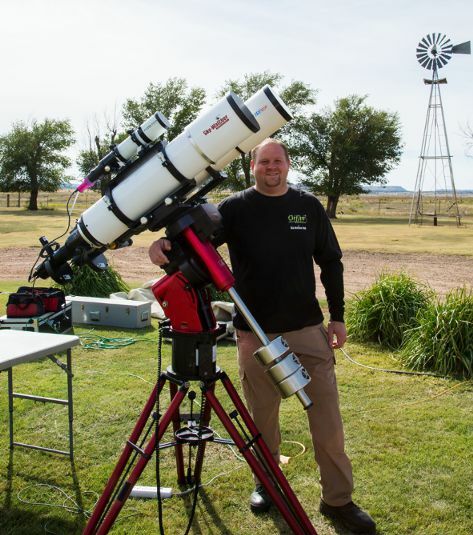 He currently volunteers at Three Rivers Foundation for the Arts and Sciences (3RF), is a member of the Fort Worth Astronomical Society and loves teaching anyone that wants learn! After astro-imaging for only 7 months, he received the thumbs up for his first publication in Astronomy, Sky and Telescope and Astronomy Technology Today magazines with a run of Skywatcher USA ads. He started out focusing exclusively on DSLR color imaging but later branched out into narrowband and LRGB CCD work. Come learn about how Jerry images with DSLR and CCD cameras. Jerry will talk about capture, equipment and briefly highlight a few of the challenges encountered with processing the acquired data. He has imaged with several levels of DSLR/CCD technology and plans to highlight some of the “bumps and bruises” encountered throughout his learning curve.